Are you curious about Yoga? Whether you are one who’s not ready to join a Yoga class, or one who desires a deeper, more individualized session, personal Yoga is now available. 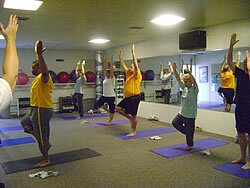 These Yoga sessions are specialized for individuals or small groups. 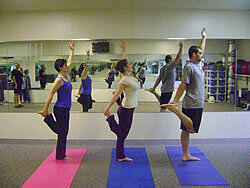 Speak with Crystal Hetrick, Yoga Instructor, to learn how you can benefit from one on one or small group lessons. Experience Yoga as it is meant to be one on one. If you are interested, you may also leave your name and number for Megan or Crystal at the front desk.